Join Yay Bikes! as We Ride with PRIDE! in the Stonewall Columbus 2013 Pride Parade. 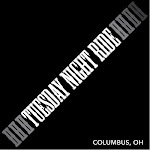 Ride your bike down to the corner of Front and W. Town St. where we'll gather to become a rolling, mobile parade float! Please bring plenty of water and snacks to munch on while we wait for the parade to start. Also, sunscreen or other weather related apparel and/or fun PRIDE parade shenanigans are strongly encouraged! We will be lining up in the YELLOW area at Town and Front St. at approximately 11 AM.